Spend any time on Instagram, and you’ll start believing that all remote work is done from the beach, a hammock, or at least a trendy cafe. While this might be true for some people, some of the time, it’s definitely not the norm. Back when I started, there were almost no coworking spaces, and productivity tools barely existed. Things have changed dramatically, and so has my situation — I now often travel while working, and I’ve religiously adopted several tools and tricks to help me become more productive when I do. You don’t need to be a digital nomad to profit from them, though. Most are just as useful if you work from a home office as well. Do you get by with your day-to-day work, but struggle with a long-term strategy or when collaborating with others? Project and task management tools make it easier to organize your workload and stay on top of everything you need to do. Project management systems like Asana and Basecamp are especially useful when working in a team, since they let you see everyone’s pending and completed tasks for a given project, all in one place. They’re ideal for organizing projects and adding tasks, then sharing them with coworkers. I’m obsessed with to-do lists, and am endlessly trying out different apps to help manage them. I hadn’t found anything that combined personal and work lists, synced with a calendar, and had a good design, until I found Any.do (for Windows, Mac, iOS and Android). It lets you organize your tasks, lists, and reminders inside one app that syncs across all of your devices. I’m also a fan of Notion, a great tool that some have called the “future king of productivity apps”. Its best feature is that, besides having the ability to create notes, tasks, and lists, it lets you maintain an internal wiki so that all your knowledge stays in one place. That’s super-helpful for teams. The ability to work from anywhere is fantastic, but comes with a few frustrations — not every space is great for productivity. While that cafe in Chiang Mai may have great coffee, it might also be too loud, have slow Internet, or not have anywhere to plug in your laptop. Enter WHA by Work Hard Anywhere (iOS only). This handy app suggests the best laptop-friendly spaces around the globe, added and rated by fellow freelancers, and is especially useful when you’re working from a new city. Simply type in your location and you’ll see pins drop on the map. All those pins are “freelancer-approved” spaces, so you know they’ll have the facilities you’re after. All workspaces listed in the app show the speed of the Internet connection, the number of power outlets and seats, and sometimes, the Wi-fi password. Trip Mode does one thing, and does it well: reducing the amount of data your laptop is using. When you’re tethering to your phone, or using a slow Wi-fi connection in a cafe, just fire up the app ($7.99) and select the apps that are allowed to access the Internet. Everything else gets blocked, including updates, syncing tools like Dropbox, and anything else that’s not important right now. The end result? A faster connection on slow networks, and using up less of your valuable mobile data. The app will automatically enable itself when you connect to networks where you’ve used it before, and the Mac version also lets you set hard daily/weekly/monthly traffic limits so you never exceed your data cap. The ergonomics of working from cafes and coffee shops are usually pretty awful. Uncomfortable chairs, wobbly desks, and being hunched over a laptop for hours are not a good combination. Lifting your screen up to eye level is a small but vital way to improve things, since it helps reduce the neck strain associated with working on a laptop for long periods. Amazon sells very affordable laptop stands as the first step in creating your very own portable office — I’ve got this one and am pretty happy with it, but there are dozens of others. I’m usually based in Europe, but I’ve had colleagues all over the world. In the past, when I wanted to suggest meeting at a certain hour, I constantly had to Google it: what time will it be there when it’s 10 am here? The process was quite tedious, until I found Clocker (for Mac only). One of the app’s best features is a neat slider where you can quickly see how future times line up without having to count forward or backward. That way, next time you need to know what time it’ll be in Tokyo when it’s 4 pm wherever you are, you’ll know in just a few seconds. Not a Mac user? World Time Buddy has a simple, if not very pretty, web-based version. Falling asleep right after using your computer (or phone) at night can be hard. This is because computer screens mimic the cool blue color temperature of bright sunlight, which is great during the day, but less so at other times. As the sun sets, the color temperature of its light shifts towards pink and orange, which causes us to get sleepier. The f.lux app does the same thing for your phone or laptop, changing the color temperature of this display depending on the time of the day. The darker it gets outside, the warmer the colors used. Better sleep means better productivity, and we’re all a fan of that. The tool is free, and is available for Windows, Mac, and Linux, and mobile devices. When working on my Mac, I’m often writing in a Google Doc but need to keep referring to a bunch of different Chrome tabs. At the same time, I’m chatting in Slack, checking my calendar, updating my to-do list, and more. That’s a lot of windows to manage! Clicking backward and forward between them takes time, and I often need to see them simultaneously as I work. With Magnet, I can keep my workspace organized without having to manually adjust a window’s size to make it fit in my desktop. Using the Control, Option, and arrow keys in combination with others, Magnet will easily declutter your screen by snapping windows into organized tiles. The beauty of this Mac app is its simplicity — it only took me a few minutes to memorize most shortcuts, and you can see the benefit right away. Coming up with and remembering strong, unique passwords for every site and app you use is almost impossible. That’s why most people use the same password in multiple places — which just means if any one of those sites gets hacked, you’re vulnerable everywhere else. What to do about it? Use a password manager instead. These apps work by generating strong random passwords, saving them, and optionally filling them into sites and apps automatically. All you’ll have to do is remember your master password. Make it a good one! After testing a few different tools, I settled on LastPass because of its simplicity. It also happens to be one of the most affordable options (free in some cases, $24 per year to access all features). Another solid tool is 1Password ($36 per year), which has a particularly useful “Travel Mode.” This completely removes sensitive data from 1Passward across all your devices, except whatever you mark as safe for travel. Even if you’re forced to unlock your phone or laptop at border control, your passwords and other personal information physically aren’t available. Sending an important file via airport Wi-fi? It can be incredibly easy to steal data as it moves across public Wi-fi networks, unless you’re using a virtual private network. There are many reasons why you should be using a VPN while traveling but think about it like this: free and open Wi-fi usually comes with a hidden cost—your security and privacy. As well as encrypting your information as it travels across public networks, VPNs let you connect to a server located in a different country to the one you’re in. This is especially handy if you’re trying to bypass China’s Great Firewall or get around other Internet censorship. They’re also good for accessing geographically-restricted content, or even just to get around annoying websites that assume that just because you’re in Amsterdam this week, you’d love to read the site in Dutch. Sigh. 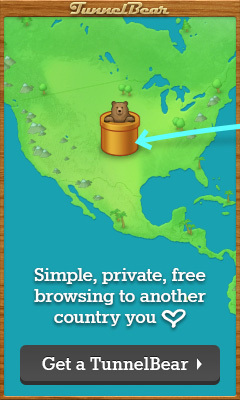 We’re fans of Tunnelbear for its simplicity, and VyprVPN or ExpressVPN if you want more server options, faster speeds, or a higher chance of it working in countries like China. Looking for more? Check out these ten super-useful apps for remote workers, plus these fifteen great options to help run a remote business! Images via Bench Accounting (man working on a laptop), TripMode (app screenshot), Josue Valencia (laptop stand), Tim Gouw (people at a coffee shop), Tanit Parada Tur (Magnet screenshot), Markus Spiske (VPN). I can vouch for ExpressVPN. I’m in China and it’s made my life a lot easier. That’s great to hear! Thanks for sharing, Mike. Workfrom is also another app to find places to work from remotely. You can rate places, as well. Thanks for sharing, Heather! I just downloaded the app and will try it out. Thanks Conor! flux is the best when working at night!